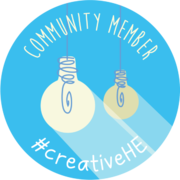 #creativeHE is an open collaborative community for creative and innovative practitioners growing out of the Greenhouse initiative that operated from 2014-2016 at Manchester Metropolitan University (Nerantzi, 2016) and the online #creativeHE community at https://plus.google.com/communities/110898703741307769041 through which a series of online events and courses have been offered by the Centre for Excellence in Learning and Teaching at Manchester Metropolitan University http://www.celt.mmu.ac.uk/ in partnership with Creative Academic http://www.creativeacademic.uk/ and facilitators from a range of institutions nationally and internationally. 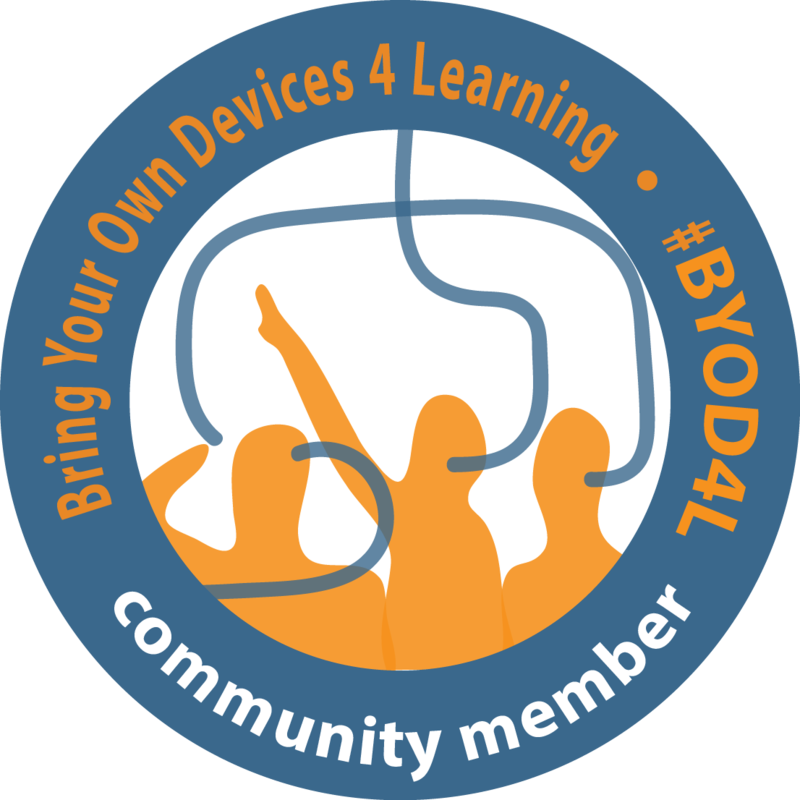 In the coming year we will continue connecting, collaborating, experimenting and learning together online, what is new, is the addition of gatherings locally, initially in the NW of England but ultimately anywhere there is an interest and we are welcome. 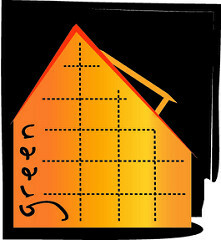 This initiative aims to support pedagogical rebels and free-thinking innovators in experimenting with, developing, sharing and getting support for novel learning and teaching ideas as well as initiate and disseminate research activity around these that have the power to transform the student and staff experience within and beyond institutional boundaries. This community is open to anyone who would like to join, academic staff, students and the wider public. All who have an interest in creative and innovative approaches to teaching and helping others learn. We plan to meet physically on a monthly basis, each time at a different institution. During our gatherings, we will have the opportunity to get to know each other, share and grow new ideas, take risks and support each other in our creative adventures, experiment and play, as well as test and develop pedagogical ideas and identify ways to take them forward. 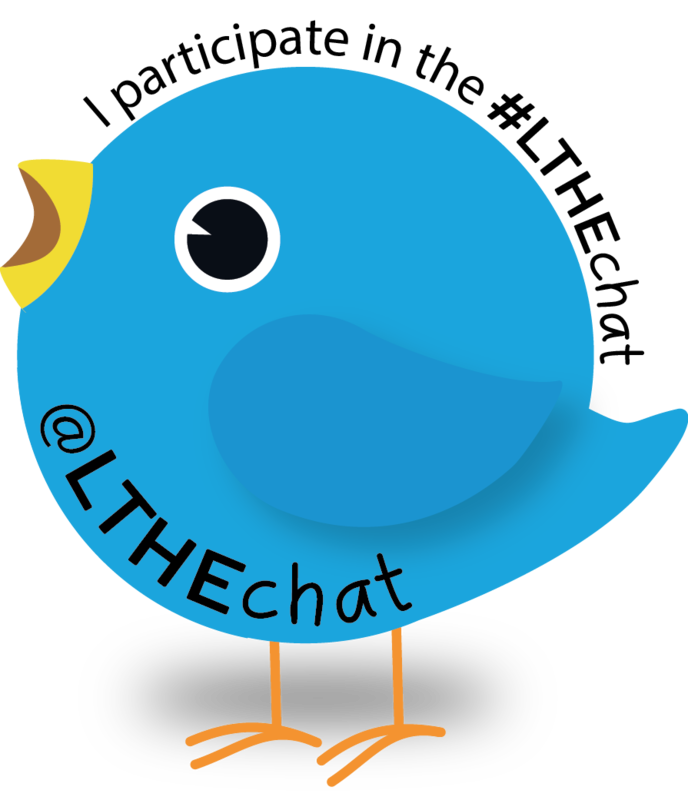 We will continue using the #creativeHE online community space which now supports and connects a global community of over 600 people. Furthermore, this space will offer additional opportunities for professional development through online discussions, events and courses that are organised through #creativeHE, the Creative Academic and the wider academic community. 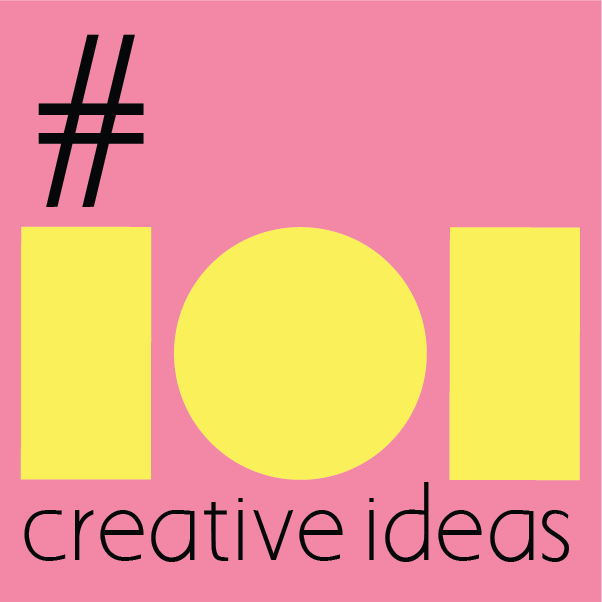 The openly licensed #101creativeideas project will help us collect and share our ideas and the pedagogic innovators project (#pin) to engage in related research activities. Our monthly local gatherings will be half days. We welcome institutions who would like to participate in #creativeHE events by organising a local gathering. All we need is a flexible space for up to 30 individuals. We suggest that each gathering features time for socialising. As the gatherings will all be free and open, we encourage each participant to bring a gift of food and/or non-alcoholic drinks to share with other participants. Homemade and more healthy contributions are very welcome as are foods from different cultures. In this simple way we aim to encourage sharing of the many cultures that make up our society. The institutional contact will coordinate the monthly gathering and a booking system will be in place through CELT at Manchester Metropolitan University. Our first local gathering will be on the 24th of October at the University of Salford. Register at http://www.celt.mmu.ac.uk/community/creativehe.php to join us! If you would like to become a #creativeHE champion in your institution, please get in touch with us. This was our very first face-to-face meetup organised by Neil Withnell at the University of Salford. It was very much an explorative session and we discussed the purpose of this local community and how we could best spent our time together. We had ambitious ideas and still have but realized that we need to be realistic and pragmatic. As it was autumn, we did a leaf reading activity to get to know each other a bit better and then started drawing and writing our ideas on the walls, literally. In the end we decided that each meetup could have a special focus and individuals could come along and share their related ideas, problem-solve but also generate ideas they could take back into their practice. Thank you Neil Withnell for organising. We hope you are well and keeping warm. Our next Greenhouse gathering is on the 23rd of November at 12pm in SB G07. We hope you can join us at 12pm. Living life as inquiry: what is happening to the animals? Explore extended ways of knowing as a response to ‘wicked challenges’. “College students should feel that they are participating in one of the most significant ventures ever to take place in the entire history of the planet.” (Thomas Berry, “The American College in the Ecological Age,” in The Dream of the Earth, 1988: 97). “…it is the time for universities to rethink themselves and what they are doing.” (Thomas Berry, “The University,” in The Great Work, 199:85). We hope you had a lovely summer and the new academic year started well for you. 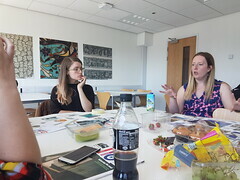 We are currently putting together the programme for this academic year and our Ellie (Hannan) is organising the very first gathering on the 20th of October, 12-2pm in John Dalton E0.05. Ellie is leading a new OER project called #101creativeideas. We are very excited about this as it gives us loads of opportunities to share what we do with each other and also involve the wider academic community. 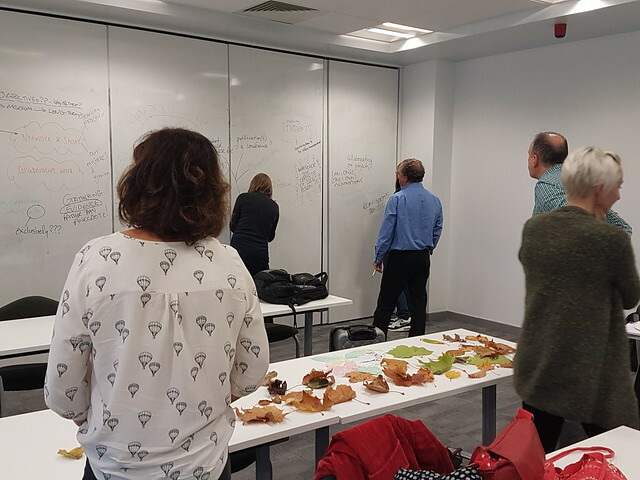 This greenhouse session will be an introduction to the project and how we can all get involved to generate and share novel ideas around learning and teaching and to contribute to this exciting OER project. If you are looking to make your teaching more creative, or want to share and develop creative ideas for your role, come along and feel free to bring a colleague and/or students with you as well. We really are looking forward to seeing you on the 20th! 10 June, the #Greenhouse goes to the seaside, join us! This is an announcement about our next Greenhouse happening, on Friday the 10th of June. As this will be our last Greenhouse event this academic year, we would like to make it even a little bit more special. Some of the members decided that it would be a good idea to organise an excursion, something like a field trip. We thought Southport would be an appropriate destination and not too far away. It is a beautiful seaside resort. We will get a lot of fresh air, hopefully some sun and fill out batteries with new and exciting ideas for learning and teaching. David Leathlean will be organising a creative activity on the trip and at location to immerse us all and help us reflect and generate ideas for our own practice in preparation for the next academic year. We will meet at Oxford Road Stration in Manchester at 9.15am. The direct train to Southport leaves at 9.26am and we will be in Sounthport at 10.35am. The Anytime Return Ticket costs £16.30. If you have a railcard there will be a discount. Please purchase your ticket in advance so that we are ready to get on the train when we meet. Please wear comfortable clothing. Bring a smart device with you and a battery charger, just in case as these will come in handy for the planned activities. We hope you will be able to join us and are really look forward to seeing you at the Oxford Road Train Station at 9am on the 10th of June. ps. Please note, all #greenhouse happenings counts towards FLEX. pps. We are starting to put together the #greenhouse programme for next year. Please share your ideas so that they can be included. We hope you are all well. This is an announcement about our next Greenhouse happening, on Thrusday the 26th of May at 1pm in the Brooks Building, Room G87. We are delighted that David Roberts and Leah Greene will be with us to explore Stress in the context of Learning and Teaching. This will be an interactive session where we will explore stress from physiological, genetic and emotional perspectives. We will demonstrate the effects of chronic (long-term) stress on the human body and investigate methods to reduce work-related stress. Please bring along ideas and suggestions that you use to reduce stress that you would like to share. pps. The Greenhouse successes recently in ManMetLife. We would like to invite you to participate in a cooperative inquiry hosted at Cheshire Campus as part of ‘I Love learning’ project. Within cooperative inquiry we will explore the use of creative approaches in Higher Education that inspire and engage students in learning and enhance student experience. 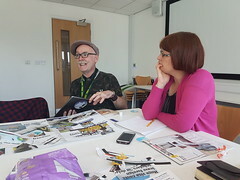 The project consists of four co-researchers who worked together on the Creativity in HE, CELT MMU training course and subsequently applied for a CELT research scholarship. How would students and staff would like to learn in an ideal world? In this creative session, you will explore and express the ideal learning experience, through blue-sky thinking and use of creative approaches. How can we protect the world that is special to us? Hands on learning experience/visit in the ancient woodland at MMU Cheshire Campus, exploring the role of creativity in relation to education, environment and sustainability. Please bring waterproof clothing and shoes in case of rain. We hope you are all well. This is an announcement about our Greenhouse happening, on Wednesday the 4th of May 12-2pm. 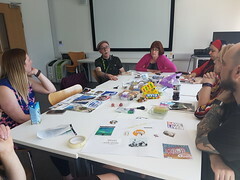 Join us on the Crewe campus in Seeley 0.20 for two hours of creative making with Gail Spencer and Mike Lowe, to explore the use of wet felt for learning through making, ideas generation and learning or teaching resources creation. Gail Spencer graduated in Ceramics and taught ceramics for 6 years – Wolverhampton College of Adult Education, Beacon Centre (for the blind and partially sighted, Wolverhampton), New Cross Hospital, Bilston Community College and a centre for adults with physical and additional disabilities. Worked at the Coalport China Museum, Ironbridge and have been a practising Ceramicist for over 20 years. Gail has additional interests in papermaking, felt and batik. (Have delivered ceramic workshops to local schools, Cheshire Wildlife Trust, Potteries Museum and Art Gallery, Warrington Museum and Art Gallery and the Nantwich Food Festival). Gail works at MMU as a Technical Officer supporting Teacher Trainees – within the field of Art, Design & Technology and Computing and widely supports other areas within Education. She also supports the use of iPads and iPad Minis within the Faculty, as well as working for the Digital Services Team. Feel free to bring your own felt with you if you have some.